Windows mining guide: how to mine BTG? We realized that some of you struggle with some issues when starting mining BTG using Windows. Hence, we thought it may be useful for the community to write a few guidelines on how to start BTG mining with miniZ on Windows. Do you have RTX GPUs? Then go for Cuda 10 version. RTX will not run on Cuda 8. Which NVIDIA driver do you have installed? As we report here, Cuda 10 version requires NVIDIA 411.31 driver or later. Therefore, if you have older drivers you may need to run Cuda 8 or update the driver. You do not know which driver you have installed? Check this quick guide on How to check NVIDIA driver version easily on Windows. 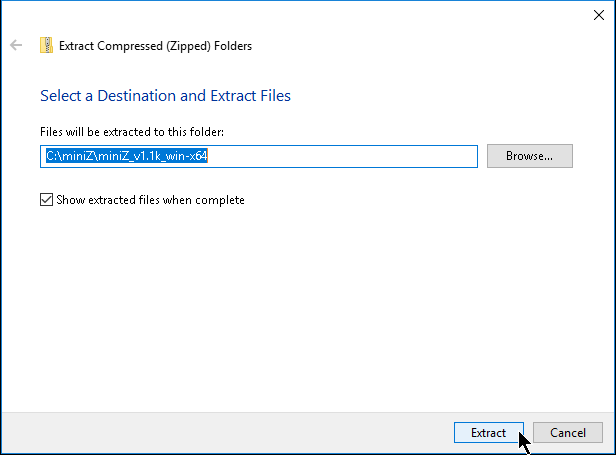 After downloading the windows .zip file you will need to unzip it, to extract the files it contains. Windows usually provides a software to extract files from compressed folders. Right click on .zip file and select “Extract all…”, select OK.
Next, click “Extract” to confirm the operation. Files will be extracted to the specified folder, you can change this location if you want. miniZ.exe.sha256sum – a file containing a string, the hash of miniZ.exe file (sha256). 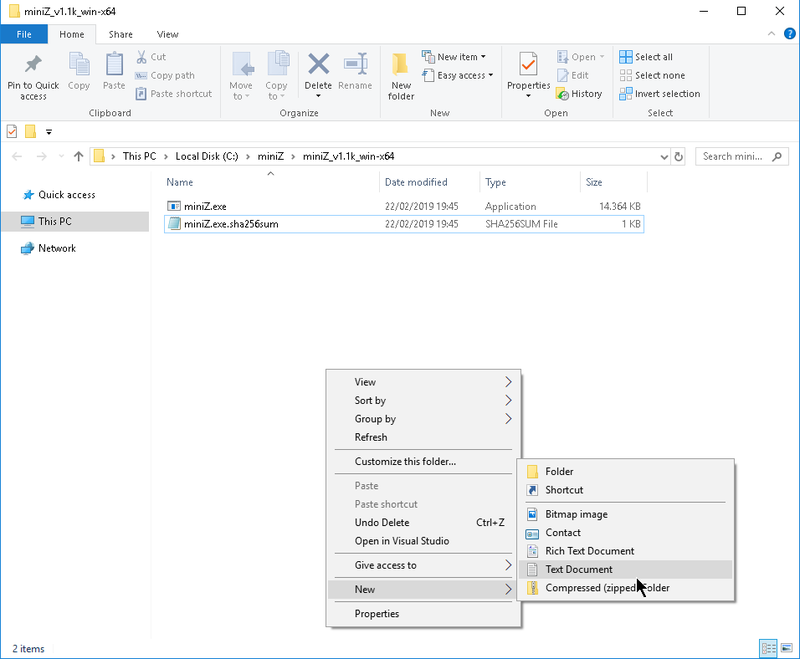 It is good policy to check the file hash, if the hash you calculate and the one in the file are not the same do not run miniZ.exe and let us know by leaving us a comment. If you downloaded the file from our website everything should be OK.
To get the hash of a file on Windows use Get-FileHash cmd. On the folder menu bar, go to “File” and select “Open Windows PowerShell”. Once the Windows PowerShell opens, write “Get-FileHash miniZ.exe”. Compare the string you get with the hash on the miniZ.exe.sha256sum file. To start mining using a batch file you need to create new document. But first check whether you can see the filename extensions. In the menu bar, go to “View” and check the “File name extensions” box (if not selected already). Right click to open the menu and select “New” -> “Text Document”. Next, change the name of the file to “miniZ_btg.bat”. The file must have “.bat”extension, so you must delete “.txt”. You have just created the batch file, however it is still empty. So, to open the file: right-click on file and select “Edit”. 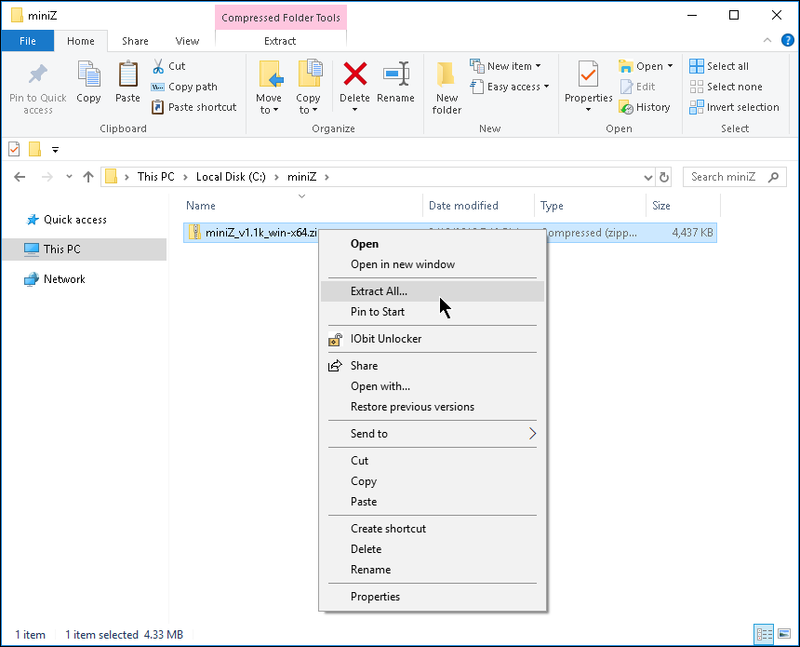 Windows will open the file with notepad. For the purpose of this Windows mining guide, the example is constructed to mine Bitcoin Gold using 2miners pool. Yet, the command line is quite similar for other coins and pools. You can check our series of “How to mine…” in FAQ for further usage examples. Also, here you can add your miniZ command line arguments as you wish. Check Usage page for detailed list of all available options. Do not forget to adapt for your personal settings. We added “pause” to the end of the file to prevent the command window to close. For example, if there is a error the window will remain open and you’ll be able to read it immediately. Of course, if you run miniZ with --log you can read the error message in the log file as well. Then, save the file. On the notepad menu bar, go to “File” -> “Save”. The batch file is saved where it was first created, in the same folder as miniZ.exe. 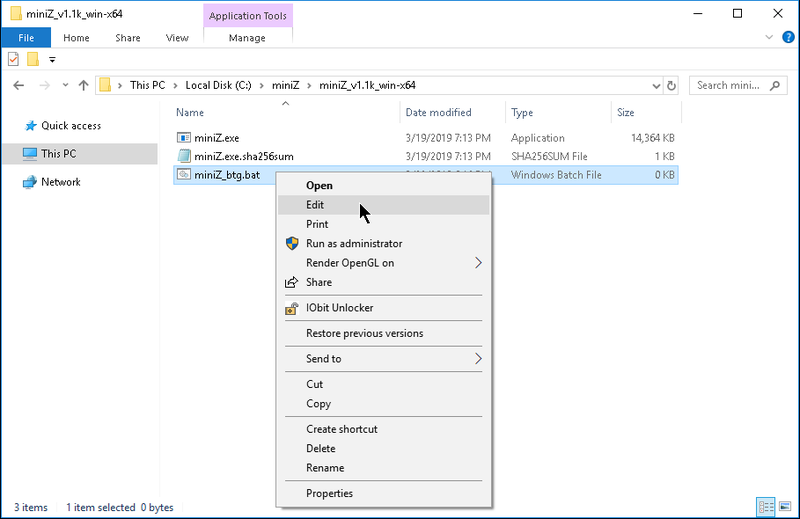 Finally, to run miniZ you only need to doubleclick on the batch file. A CMD shell window will open and miniZ will start running. You made it! You managed to get your GPUs mining BTG with miniZ on Windows. miniZ version v1.2l introduced a GUI Launcher. Now it is even easier to set up the .bat file and start miniZ. For more details about the GUI check here. If you have any question leave a comment below. It is likely we’ll need to tweak the post in the future.